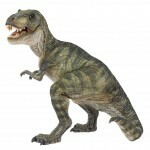 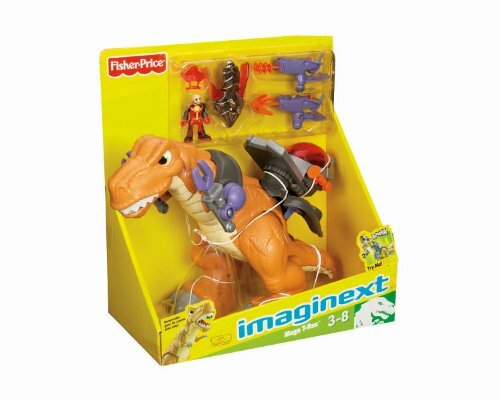 The Imaginext Mega T-Rex from Fisher-Price is out for 2011. 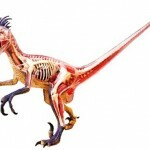 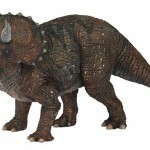 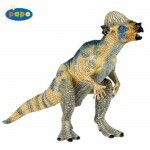 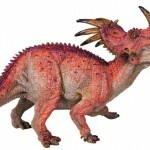 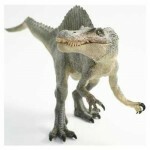 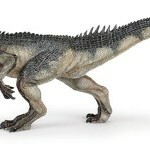 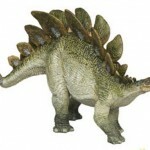 If you have been waiting for new dinosaur toys to come out in time for the Holidays you wont be disappointed. 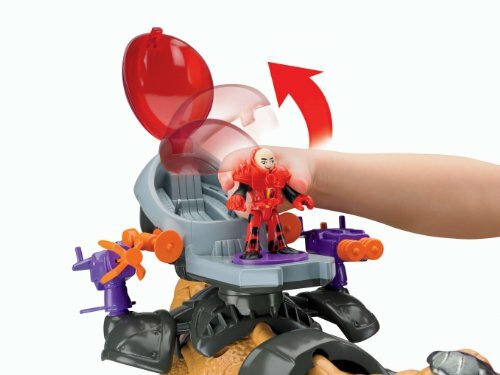 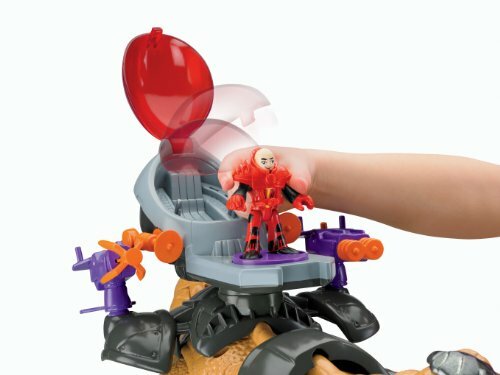 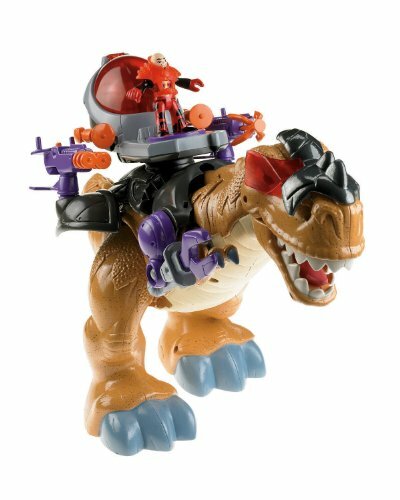 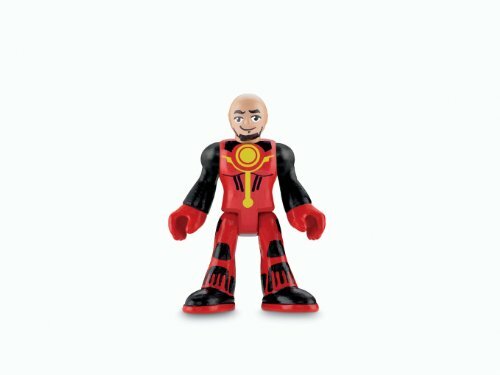 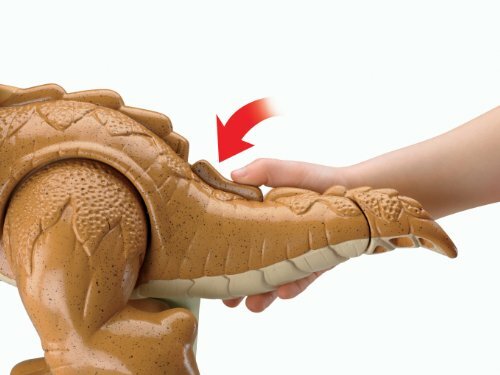 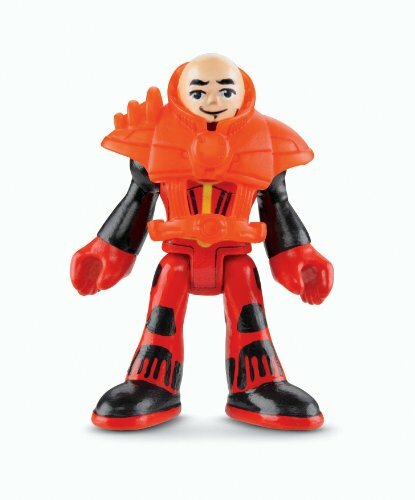 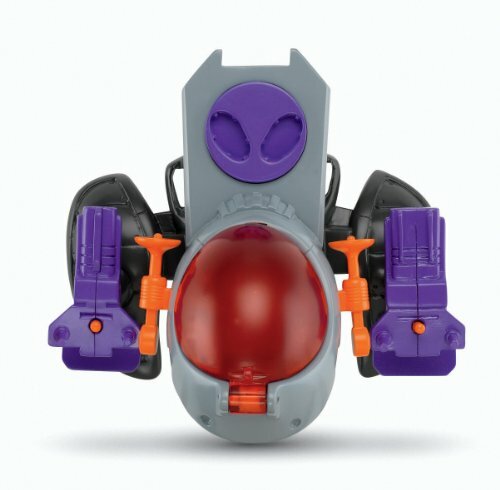 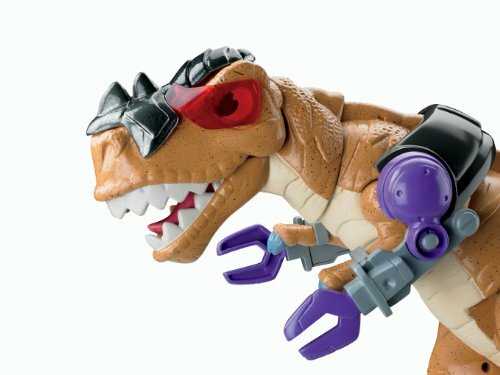 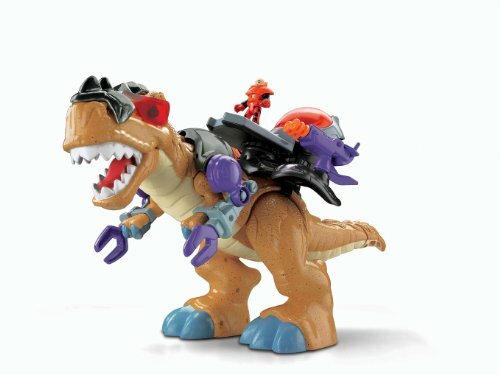 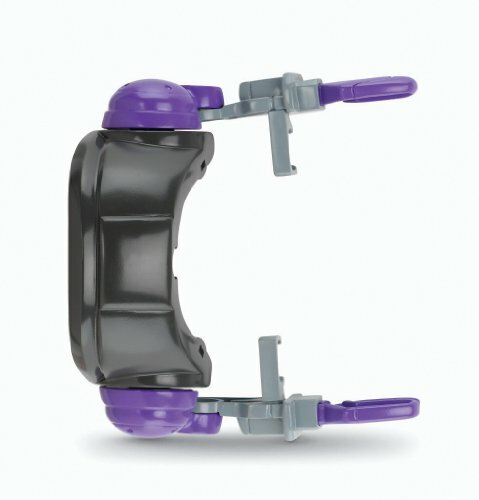 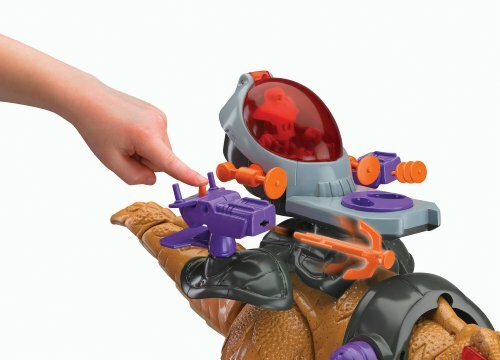 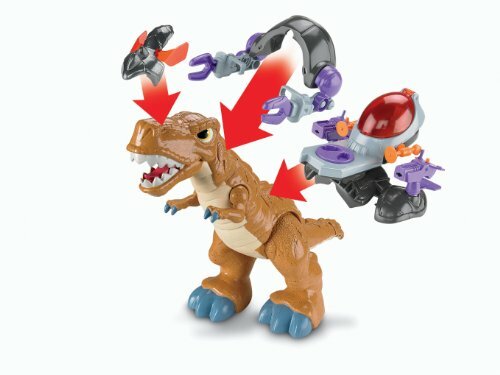 The Imaginext Mega T-Rex is actually two toys in one. 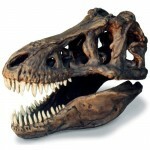 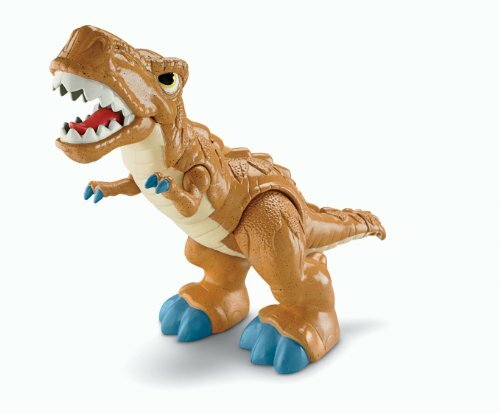 By day Mega T-Rex is a roaring, head turning dinosaur. 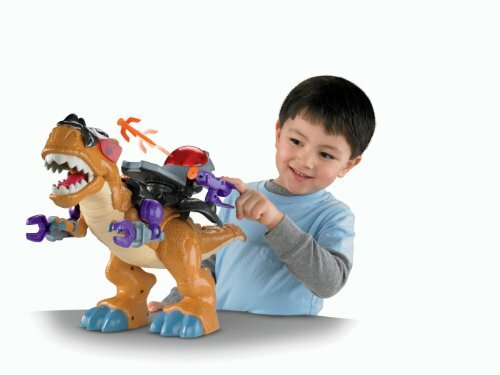 But Mega T-Rex also likes to go high-tech and don his battle gear with long robotic arms. 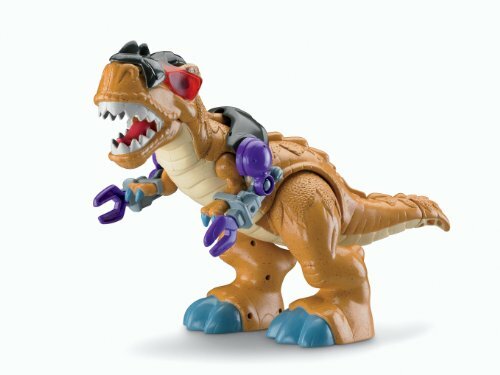 One minute Mega T-Rex may be ruling his prehistoric forest but in a twinkling Mega T-Rex can transform himself from his Jurassic Park to a futuristic battle droid from Star Wars. 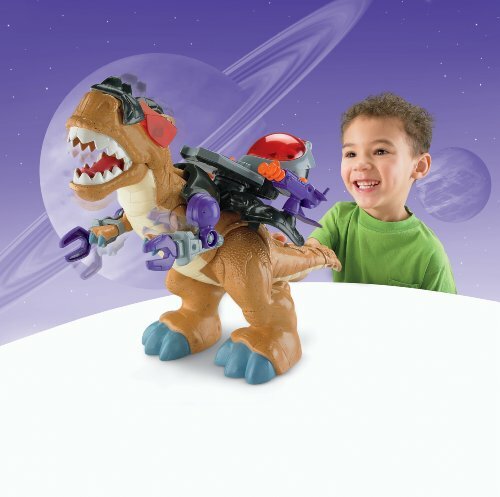 Now he’s battling on an alien planet in space complete with a battle helmet, battle pod and missile launchers, all of which opens up wide possibilities for creative and imaginative play. 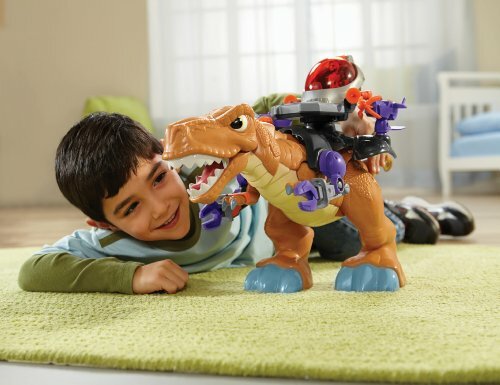 The Imaginext Mega T-Rex has great details and motorized action makes for loads of fun. 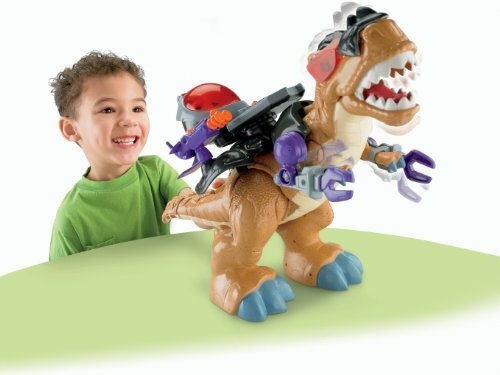 Dressing Mega T-Rex in his armor adds a whole new dimension to dinosaur play. 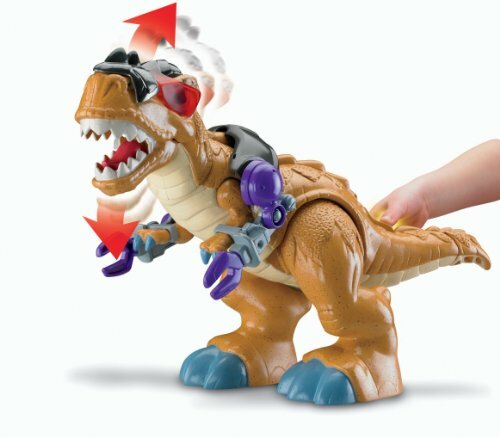 Mega T-Rex’s arms and neck move and his jaw opens–all with the push of a button and he can even launch missile from his pod. 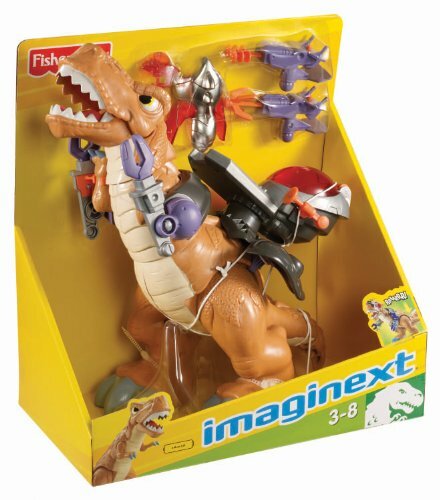 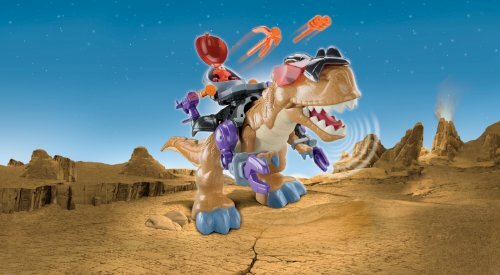 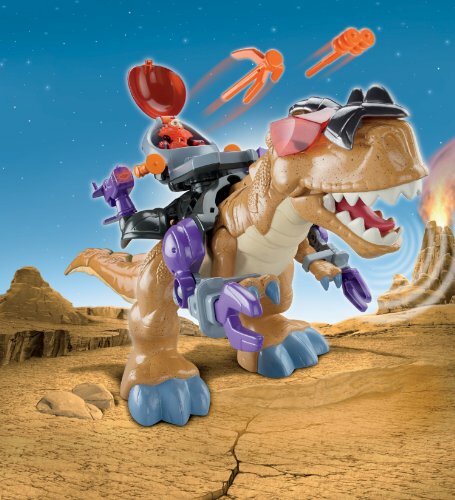 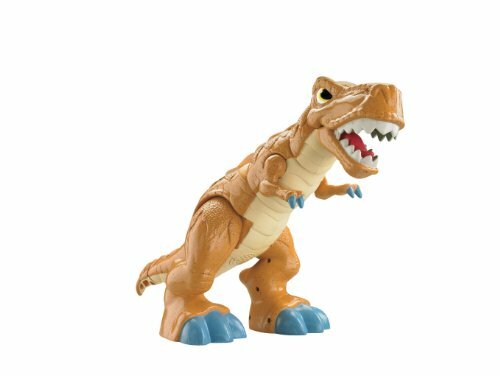 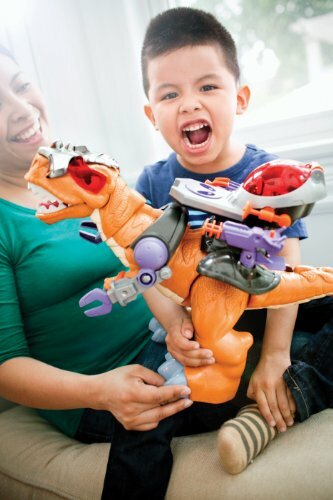 Kids from 3 -7 years will love the Imaginext Mega T-Rex action toy that combines dinosaurs with futuristic fantasy adventures.